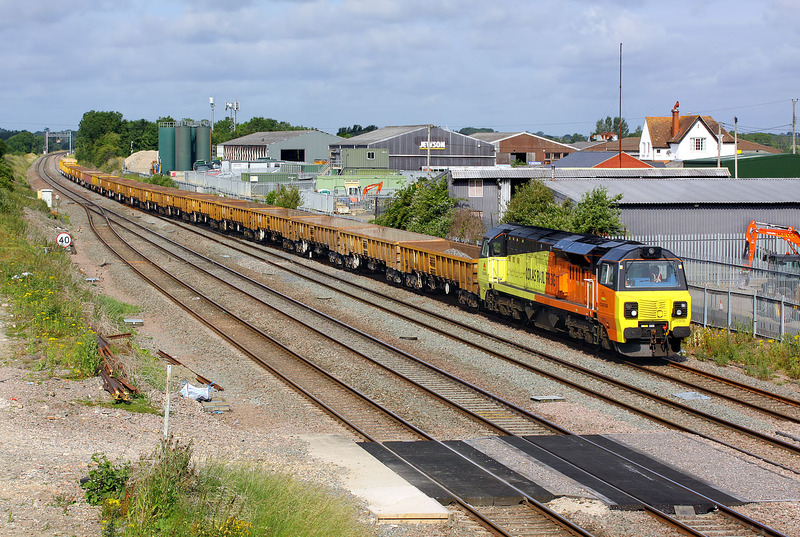 70806 moves onto the up relief line at Challow on 6 July 2015 with the 6M50 07:55 Westbury to Bescot engineers train. This was running nearly half an hour early, and I had only just arrived at the location when I saw it appear around the corner. I had checked its progress a few minutes earlier, and it was on time at Swindon. I shouldn't really have been surprised, as the layover at Swindon is sometimes ignored for the sake of a longer layover at Wantage Road. However, on this occasion it carried straight on to Hinksey Yard.